Barry Porsch, the Republican and Democratic candidate for Seneca County District Attorney, appeared at the Seneca County Democratic Committee’s “Meet Your Candidates Event,” which was held at the Fleur de Lis Brewery on Thursday evening, October 26th, 2017. Porsch was invited to the event as the Democratic candidate (attached is the official invitation that Porsch received from the Democratic Committee). It was likely an historic event for a Republican county officeholder to be invited to a Democratic function. In September, Porsch won the Democratic Party primary election in a landslide as a write-in candidate with 65 percent of the vote. At the event, each of the Democratic candidates was invited to give brief remarks. Barry Porsch thanked the Democrats for supporting and voting for him in the primary and said he runs a bi-partisan office that is staffed evenly with Republicans and Democrats. 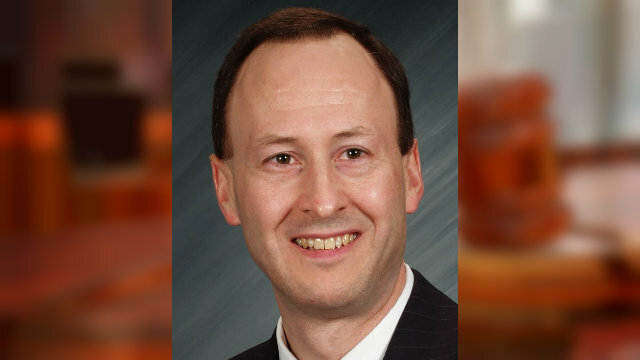 Porsch also said he used his own money in August to commence a successful Election Law proceeding to hold former Republican Chairman Angelo Bianchi accountable and to ensure a free and fair election for all citizens of Seneca County. In that proceeding, a Supreme Court Justice invalidated a Working Families Party petition filed by Joe Sapio after finding that most of the signatures on the petition were illegally obtained by Angelo Bianchi. After Porsch finished his remarks, he received warm applause from those in attendance. In addition to Porsch, two other cross-endorsed Republican candidates invited to the event gave brief remarks, Fayette Highway Superintendent Bill Trout and Tyre Supervisor Ron McGreevy. Most of the other Democratic candidates also spoke at the event. Although Sapio’s name was not on the official published list of candidates, he appeared and spoke after the Democratic candidates finished. Sapio mentioned that “the mother of his children” got to know Mrs. Bianchi when they both worked in Auburn some years ago, but he otherwise denied having any connection to Angelo Bianchi. At one point during his speech, he raised his right arm and sweater, disclosing what appeared to be a handgun holster on his right hip. Some in attendance questioned why anyone would feel the need to bring a handgun to the event. After Sapio finished, he received applause from only a few people. Although Sapio claims that he has no connection to Angelo Bianchi, during the petition process in June and July when candidates have to obtain a certain number of voter signatures in order to get their name on the ballot, Angelo Bianchi obtained 80 signatures for Joe Sapio on petitions for the Republican, Independence, Conservative and Working Families Parties. Voters can cast a vote in the Nov. 7 election for District Attorney Barry Porsch on the Republican, Democratic and Working Families Party lines.